Plan a trip and get out of San Diego for a while. But instead of stopping in L.A. or cruising to Vegas, check out the stunning coastline of Monterey County. This city has an endless list of places to explore, and the season to visit Monterey is the upcoming summer months! Here are some great attractions to see and upcoming festivals that will surely delight all visitors looking for a relaxing break from the regular weekend routine. Loaded with history, activity, and a whole lot of fun, a trip to Monterey is a priceless vacation you’ll be boasting about for years to come. Uncover the mysteries of Monterey’s ocean life without plunging into the Pacific. The Monterey Bay Aquarium is dedicated to assisting in marine life research and preservation. It has landed high remarks by Forbes Traveler as one of America’s most interesting aquariums. Make sure to stop by the Monterey Bay Aquarium during your stay for an out-of-this-world experience. Cannery Row plays a crucial row in Monterey’s unique makeup. Officially renamed Cannery Row in 1958 to pay homage to John Steinbeck, Cannery Row is a piece of history that you must visit on your Monterey vacation. Located along the gorgeous waterfront, Cannery Row is lined with great restaurants, shops, wine tasting rooms, art studios, and special boutiques. If you’re the adventurous type, Cannery Row also offers kayaking, biking, and scuba diving at the Monterey Bay National Marine Sanctuary. Cannery Row is hosting their annual block party this Sunday, June 2nd. With live bands, games, food, and quirky entertainment, the Cannery Row Block Party is a must-see! Cannery Row is also home of the Cherry Jubilee that takes place in September! The impressive Fisherman’s Wharf of Monterey is the heart and soul of the beloved town. Located in downtown Monterey, Fisherman’s Wharf holds the essence of Monterey with its thriving fishing industry and bay front culture. This is a top attraction in Monterey. Stop by to watch the fishermen loading up their prized fish, warm up with a bowl of clam chowder soup, and go on an adventurous ride in a glass bottom boat for a tour of Monterey’s marine life! Visit Fisherman’s Wharf online for more activities and things to do at the Wharf. Monterey County is notorious for one of the most scenic drives in the entire world! The 17-mile stretch along Highway One is considered a â€œdream road trip.â€ The 17-Mile Drive in Pebble Beach passes by swanky homes, world-class golf courses, the Del Monte Forest and the stunning waterfront.Â You’ll see some of these monuments along the way: Lone Cypress, Spanish Bay, Spyglass Hill, and Carmel Bay. There’s nothing better than a glass of fine wine in a gorgeous historic park. The Monterey Wine Festival will present hundreds of wines to taste for all wine enthusiasts June 7-8, 2013. Known as California’s longest standing wine festival, the Monterey Wine Festival will celebrate its 37th anniversary at Monterey State Historic Park. Stop by for some light appetizers, fantastic wines, and lots of chatter about the region’s greatest wineries. If you can’t sneak away to Monterey just yet, think about planning a trip to Monterey from July 13-27 for the Carmel Bach Festival. Celebrating its 76th anniversary, the Carmel Bach Festival will host classical performances of Mozart, Handel, Bach, and many others in various concerts and free events around Monterey, Pebble Beach, and Carmel. Dive into a more sophisticated trip to Monterey when you experience this long-lived classical celebration! Are you visiting San Diego for vacation, work, or military duty? If so, you are in luck! San Diego’s bus and trolley system can help you visit San Diego’s cool attractions, busy business districts, and San Diego Naval bases. The fast commutes and affordable tickets will get you all around San Diego County without breaking the bank! With incredibly convenient public transportation, your temporary stay in San Diego will be laidback and relaxedâ€¦ just like the locals! The best part of all is that Foxwood Corporate Apartments is located across the street from the 933 bus station, allowing you to get up and go as soon as you walk out the front door. Once you board the 933 bus, you can stop at various restaurants and shopping centers or head to the Palm Avenue trolley station that connects to many major areas and neighborhoods around America’s Finest City. Coronado, Naval bases, Downtown San Diego, Mission Valley, Sea World, Old Town and the beaches are within reach using San Diego public transportation. For more information about San Diego bus and trolley schedules, maps, or our location, please visit Foxwood Corporate Apartments online. Here at Foxwood Apartments, we want you to enjoy your stayâ€¦ and getting around is an integral part of that. 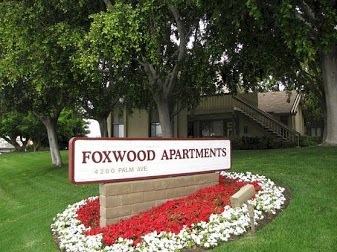 Guaranteed to bring you the best of temporary housing and San Diego’s public transportation, Foxwood Corporate Apartments will ensure your stay is nothing short of fantastic. With fast commutes and delightful adventures, San Diego’s buses and trolleys will surely liven up any journey to the West Coast. This Memorial Day is set to honor two heroic Navy SEALs of the San Diego area. The two San Diego-based Navy SEALs that were killed in a Benghazi attack on September 11, 2012 will be paid homage at San Diego’s special Mount Soledad Veterans Memorial today. During the Veterans Memorial on Mount Soledad, the Navy SEALs will be awarded for their courage and service during the Benghazi attacks. Tyrone Woods and Glen Doherty will be honored with memorial plaques during the ceremony that will be donated by the Mount Soledad Veterans Memorial Association, as stated by spokesman Bob Phillips. 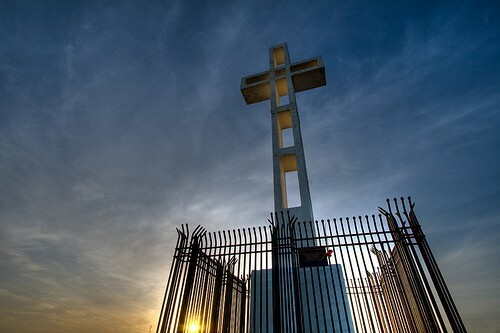 The Mount Soledad Veterans Memorial will take place at 2 p.m. The ceremony will include music by the Navy Band Southwest Brass Quintet and the La Jolla Country Day School Madrigal Sinters. The memorial service will also proceed with a 21-gun salute and presentation of colors for the two Navy SEALs in addition to an aerial salute in â€œmissing manâ€ formation by the San Diego T-34 Performance Team. Glen Doherty was a Massachusetts native that enrolled in service with the Navy SEALs in 1995. Doherty, 42, successfully completed many operations prior to his retirement in 2005. Tyrone Woods was living in Imperial Beach before his departure to the Middle East; Woods, 41, had over 20 years of experience. Both of these incredibly heroic Navy SEALs must be remembered this Memorial Day. Come to this unique local event for the Fallen Soldiers and spend Memorial Day thinking about the true meaning of the holiday, appreciating our current military members as well as the ones that were stopped short of a full life. Living in paradise is a definite possibility when you’re stationed in sunny San Diego for military duty. Here at Foxwood Corporate Apartments, we provide a peaceful environment that’s close to the Naval Basesâ€¦ it’s the perfect combination of a luxurious resort-style vacation with a practical location. With the best in quality and value, it’s tough to find comparable accommodations for military housing. Comfort is key at Foxwood Corporate Apartments. We want our guests to be as comfortable as possible. Our one- and two-bedroom military apartments are equipped with upscale furniture, designer selected wall art, and a multitude of amenities that guarantee you’ll have exactly what you need in San Diego military housing. Our apartments feel like a resort-style getaway situated on a greenbelt garden park surrounded by beautiful trees, foliage, and flowers. The year-round heated pool and spa are also accessible to our special Foxwood guests. Another great thing about our off base military apartments is that they are so close to the San Diego Naval bases, Coronado, downtown San Diego, Old Town, and the beaches. You’ll have instant access to the major I-5 and I-805 freeways, located just blocks away from Foxwood Apartments. Restaurants, shopping centers, and movie theaters are just a short drive down the road. When you’re staying with Foxwood Apartments, you’ll have everything you need in one central location. And we wouldn’t let you stay here unless we let you know how much we appreciate your devotion to our nation’s military forces. As a thank you for your heroic actions, we have a special discounted military rate for any active duty renter. For more information about our military discount, furnished apartments, or additional amenities, please visit us online today. We can’t wait to be your home away from home in San Diego! Just when you thought there wasn’t a good offer on corporate housing in San Diego, you discovered Foxwood Corporate Apartments. Business is booming in America’s Finest City and Foxwood Apartments is stepping up with the best value in corporate housing that any business will truly enjoy. Our pleasant accommodations are the perfect place for corporate execs and colleagues to brainstorm and work together in a peaceful and quiet environment. Our apartments still offer a relaxing experience with calming amenities and the year-round heated pool and spa. Whatever you choose to do at Foxwood Corporate Apartments, our corporate housing will ensure that you have all the essentials to live your business life in San Diego. Each and every one of our corporate apartments is completely furnished with lavish furniture and wall art, in addition to a comfortable living space, the convenience of life’s essentials will also prove to add convenience to your business trip. Kitchenware, cookware, bed linens, and towels are just some of the amenities you’ll enjoy in your business suite. Even more amenities are in store for you like cable-ready TV, a DVD player and countless others. We also have some other perks available along with our corporate package at Foxwood Apartments. Weekly maid service and copy / fax access can increase your productivity while on the road. Nothing compares to our relaxing ambiance and â€œcorporate benefits.â€Â Check out all our photos, packages, amenities, and easy application process at Foxwood Corporate Apartments online. 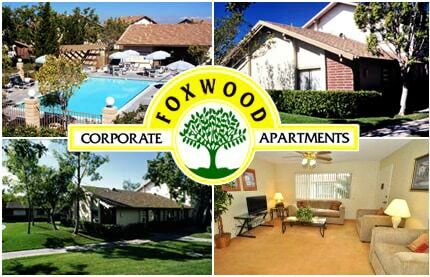 For a corporate stay in San Diego that you’ll absolutely adore, choose Foxwood Apartments, now your trip is complete.